Lisa M. Dolling; Arthur F. Gianelli; Glenn N. Statile (编). The Tests of Time: Readings in the Development of Physical Theory. Princeton: Princeton University Press. 2003: 157–162. ISBN 978-0691090856. .
^ 2.0 2.1 2.2 2.3 2.4 2.5 Andre-Marie Ampere. IEEE Global History Network. IEEE. [2011-07-21]. 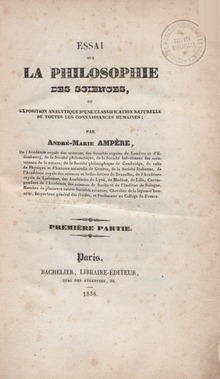 ^ 4.0 4.1 4.2 4.3 4.4 "André Marie Ampère." World of Scientific Discovery.. ic.galegroup.com. [2016-10-19]. ^ 5.0 5.1 B Gee. 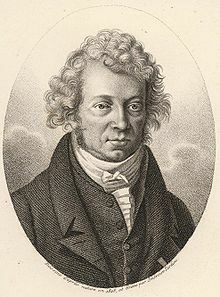 André Marie Ampère (1775-1836). http://iopscience.iop.org/. [2016-10-21]. ^ ANDRE-MARIE AMPERE’S CONTRIBUTIONS TO THE STUDY OF ELECTROMAGNETISM. [2017-02-04]. ^ 8.0 8.1 Andre Marie Ampere Biography. TheFamousPeople. [2017-02-05]. ^ Library and Archive Catalogue. Royal Society. [2012-03-13]. ^ 国际计量局. SI Brochure: The International System of Units (SI) [8th edition, 2006; updated in 2014]. www.bipm.org. [2017-02-05]. ^ The 72 names of scientists inscribed on the Eiffel Tower. www.toureiffel.paris. [2017-02-05]. （原始内容存档于2017-02-12）. Williams, L. Pearce. Ampère, André-Marie. Dictionary of Scientific Biography 1. New York: Charles Scribner's Sons: 139–147. 1970. ISBN 0-684-10114-9. Hofmann, James R. André-Marie Ampère. Oxford: Blackwell. 1995. ISBN 063117849X.